AFRICA/ZIMBABWE - The Bishops: "Elections are an opportunity to build a new Zimbabwe"
Harare (Agenzia Fides) - "We believe, we hope and we pray, that the coming elections of 30th July 2018 will be such a moment for us all" write the Bishops of Zimbabwe in the pastoral letter entitled "Opening a new door" dedicated to the presidential elections they will be held at the end of the month. 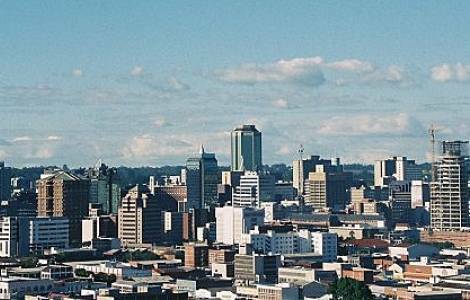 Since November 2017 when President Robert Mugabe, who ruled the country since independence in 1980, was forced to resign, Zimbabwe has been experiencing a delicate phase between hopes and disappointments. A feeling that the Bishops capture in their pastoral letter, sent to Agenzia Fides. "In the six months since the resignation of Mugabe and the appointment of Emmerson Mnangagwa as interim President, we have seen many reasons for hope", say the Bishops, who cite the new spaces of freedom and the fight against corruption undertaken by the government. However, many are disappointed that the effects of these changes have yet to be felt, especially regarding employment. "All Zimbabweans must therefore put any fear and disillusionment of previous elections behind them and prepare carefully for generous participation in the electoral process that is central to our democracy", the Bishops exhort, inviting citizens not to be discouraged by "recent isolated events of violence and bomb attacks", described as "regrettable, unacceptable and unfortunate for the Country". On June 23, during a political meeting in Bulawayo, a man threw an explosive device against the stage where President Mnangagwa was speaking, killing two bodyguards.